Brisbane on another day. Notice all the solar panels on the roofs in the foreground. In trying to think of something to post on the blog today it occurred to me that it might be interesting to see what we were doing a year ago today. A year ago today we were still in Australia visiting my brother and his family near Brisbane. In some ways it’s hard to believe that was a whole year ago, and yet it seems much longer than a year because so much has happened since then! At any rate, I got out the journal that I kept of the our time there and looked up September 30th. That turned out to be the day we all went into Brisbane to the Lone Pine Koala Sanctuary! :-) We chose to go there, at my sister-in-law’s recommendation, because they had a large collection of Australian animals only. We figured we could see a regular zoo any time, but seeing as many Aussie animals as possible at once seemed a better use of funds and time. It turned out to be a very good investment for us. wouldn’t be so limited in how much she would see. I’ll give some excerpts followed by some comments in purple from my present perspective. Mon., Sept. 30 – Got a slowish and somewhat hectic start to go to the Lone Pine Koala Sanctuary. The Koala Sanctuary was quite interesting and almost all Aussie animals, which was nice. Better than a zoo and less expensive, though not cheap. Took lots of photos. Saw quite a few things. Mom and Dad saw the “Birds of Prey” showing and some of us saw a less-than-satisfactory sheep herding demonstration. after watching most of the sheep dog demonstration. We ate our picnic lunch in the “sanctuary”, then we split up. Peter and I saw the “roos” and emus and wombats and a few reptiles. Then I was so done in we rested on some benches in the shade while the others looked at those and headed back and got ice cream. We shopped in the gift shop and got some nice little things to take home for us and as gifts. The others joined us there and Peter and I also got ice cream. We finished up and headed home. The return trip was…less trouble than the one in. We got separated and they actually beat us home, though we’d been leading. The koalas were surprisingly smelly animals, but really cute too. The birds and things in cages were hard to photograph, but some were so pretty. We did get some very nice photos of other creatures. The wombats were much larger than Peter expected. We’d been warned that the platypus was quite small, which it was. They were also very active, and in a dark room/tanks. The emus and kangaroos were very tame, but I didn’t avail myself of the chance to pet one. Neither did Peter. [I’m glad I mentioned the smell of the koalas or I wouldn’t have remembered that. They were really fun to look at. We could’ve had our photos taken with one, but at $20 a pop and not being allowed to take our own photos but only to get the one provided by the park, we decided it wasn’t worth it. I wasn’t sorry later after we saw one koala get angry with another one and “roar” at him/her. They are not always as docile as they look and can be dangerous animals! The wombats were surprisingly large, but also sleeping, so we didn’t get any good photos of them as we could only see them through glass in poor light and rather unflattering positions. The platypus was in a darkened room and it was posted not to use flashes in take photos, so it wasn’t possible to get much of anything. I did get a photo of a skeleton display, though, and was surprised that the “beak” is not like a bird’s beak at all, but part of their skeletal system. Wearing my husband’s hat and smiling after being refreshed by ice cream! There is no way that I could finish the study on the birth of Jesus Christ this month, and since the subject of SAD is important to deal with earlier in the season rather than later, I decided to post this article today. Since it contains spiritual content, it seemed like it would be appropriate. Seasonal Affected Disorder is a common and difficult health problem in parts of the world that have long, dark winters with short days. The more northern regions, and I'd assume the more southern regions, where the days are very short are more susceptible and tend to have more people that require treatment. I would guess it doesn't exist in areas close to the equator where the light is pretty equal all year. For further information on SAD in general, I suggest you do your own research. This page is dedicated to my own battle, observations and to things that I found helped me personally. Psalms 138:6-8 Though the LORD be high, yet hath he respect unto the lowly: but the proud he knoweth afar off. Though I walk in the midst of trouble, thou wilt revive me: thou shalt stretch forth thine hand against the wrath of mine enemies, and thy right hand shall save me. The LORD will perfect that which concerneth me: thy mercy, O LORD, endureth for ever: forsake not the works of thine own hands. I spent the better part of my main growing up years (11-23) in western Michigan, which tends to have heavy, dark winters, though not nearly as bad as more northern regions. Psalms 37:23-24 The steps of a good man are ordered by the LORD: and he delighteth in his way. Though he fall, he shall not be utterly cast down: for the LORD upholdeth him with his hand. More than once when I’ve been overwhelmed with life my husband has reminded me that each day, meal, chore, difficulty met, is one less to go before we get to heaven. One day the last step will be taken, the last trial met and passed, the last burden laid down. “We shall see Jesus at last”! Then “it will be worth it all”! They also had this little tutorial for making greeting cards with fabric scraps. This is something right up my alley since I love to work with fabric as well as making my own greeting cards. :-) I like the fact that they look so nice with just the simple words on them. Of course, you could also use the same method for simple shapes and write the words by hand or stamp them. Taken at the Lone Pine Koala Sanctuary Brisbane, Australia. (based on something I read). A closer view inside an enclosure. Notice the blue ring around its eye. Here you will find a sound file of their “laughing” on the right hand side of the page as well as general information. I wrote an article last night that I intended to post here, but things are not going according to plan, so I’ve been wondering what I should post here today, if anything. This evening I ran across this poem and the thought in it is so sweet I decided to share it with you. 2 Timothy 1:12-13 For the which cause I also suffer these things: nevertheless I am not ashamed: for I know whom I have believed, and am persuaded that he is able to keep that which I have committed unto him against that day. Hold fast the form of sound words, which thou hast heard of me, in faith and love which is in Christ Jesus. Content that it is so. For I know Whom I have believed! In troubling times, in every day life, in trials and tribulations, in changes or in drudgery and monotony there are so many things we don’t know. But, when you think of Whom we do know – ah, what a marvelous thought! The Almighty God Who made everything, the Lord of our salvation, the One Who knows everything in the past, present and future - How is it that we worry so much sometimes about what we don’t know when we know Him? After all, isn’t that enough? This section turned out to be especially interesting because of its usefulness in contradicting some of the teachings or practices of the Patriarchy Movement. I didn’t realize how beautiful and powerful it was until I was working on this study! Just in case you hadn’t noticed, the words to this song are not about the first coming of Christ to a manger in Bethlehem. They are about the second coming in power and great glory. It’s time for another Cheap, Pretty and Good post. Really this is long overdue, but it’s not a high priority here so…enjoy while you can. :-) All of these crafts are easy enough for kids to do, so they would make nice craft or art projects. I think they also look like peony tulips. At “Oh Happy Day” is a tutorial for some simple paper calla lilies. If you’re a paper crafter this could be a nice way to use up scraps. They could be done with inexpensive colored paper of any sort. Hope you enjoy this little post. If you missed the first part of this study on the birth of Jesus, you may wish to go back and start at the beginning. This section turned out shorter than I thought, or rather longer. I intended to cover more verses than this today, but I got slightly sidetracked when the Roman Catholic prayer called the “Hail Mary” came to mind. This passage seemed like a good place to cover the issue of praying the Mary as the Catholic church teaches it. It is my understanding that this old hymn was based upon these passages of scripture. John 19:41-42 Now in the place where he was crucified there was a garden; and in the garden a new sepulchre, wherein was never man yet laid. There laid they Jesus therefore because of the Jews' preparation day; for the sepulchre was nigh at hand. John 20:11-17 But Mary stood without at the sepulchre weeping: and as she wept, she stooped down, and looked into the sepulchre, And seeth two angels in white sitting, the one at the head, and the other at the feet, where the body of Jesus had lain. And they say unto her, Woman, why weepest thou? She saith unto them, Because they have taken away my Lord, and I know not where they have laid him. And when she had thus said, she turned herself back, and saw Jesus standing, and knew not that it was Jesus. Jesus saith unto her, Woman, why weepest thou? whom seekest thou? She, supposing him to be the gardener, saith unto him, Sir, if thou have borne him hence, tell me where thou hast laid him, and I will take him away. Jesus saith unto her, Mary. She turned herself, and saith unto him, Rabboni; which is to say, Master. Jesus saith unto her, Touch me not; for I am not yet ascended to my Father: but go to my brethren, and say unto them, I ascend unto my Father, and your Father; and to my God, and your God. This is a GREAT idea for moms who like to have their little guys dressed up on Sunday or whenever. This lady combined a onsie and a button down dress shirt to make a shirt that stays put. This blog is officially closed, but is still available. At the Lone Pine Koala Sanctuary. We didn’t know what they were doing in this log, but they seemed to enjoy it. What do you suppose he was saying? Smell of… peppermint oil that I added to my mopping water. Sound of… our cat purring. Sight of… a tidier house. It was cool enough this morning that I was able to open the windows and run the fan to air the house out. This meant that my kitchen floor dried faster as well as the house smelling better, a win-win situation. I mopped the kitchen this morning (I actually did part of it twice in order to eliminate stickiness). Did some odds and ends. Fed the cat. Puttered on the computer. Worked a little on kitchen tasks. Visit my sister-in-law to discuss some plans, take a nap, tidy the house more, answer some email, make a blog post, etc. Even though it has been many years since my own family stopped celebrating Christmas, it has still been interesting to me to dig into this wonderful event without all the trappings of the "holiday season" to distract me and reinterpret things for me, and yet curiously I still feel the residual effect of all that. It's really amazing to me how much the traditions of "Christmas" have influenced the celebration of Jesus' birth among Christians. If you study it without any reference to all the "holiday spirit", it seems so different from the glitzy event that goes on in so many churches and homes in December. This alone is reason enough to rethink how we deal with it, in my humble opinion. This will be a basic verse by verse study, but not one where every word is detailed out. Because this is a long study, I am going to divide it up into sections to make it easier to read. Galatians 4:4-6 But when the fulness of the time was come, God sent forth his Son, made of a woman, made under the law, To redeem them that were under the law, that we might receive the adoption of sons. And because ye are sons, God hath sent forth the Spirit of his Son into your hearts, crying, Abba, Father. I’m happy to share a link this week to a post written by my niece in Australia. (I was going to call her “my little niece” but she is growing rapidly into a young lady!) Jo at “Stop…have a Chat” is her cousin (actually her grandmother’s cousin) and she had Holly write this guest post for her. In this post Holly shares some of her sewing and handiwork projects and tells about what she’s learned and how useful these skills are. 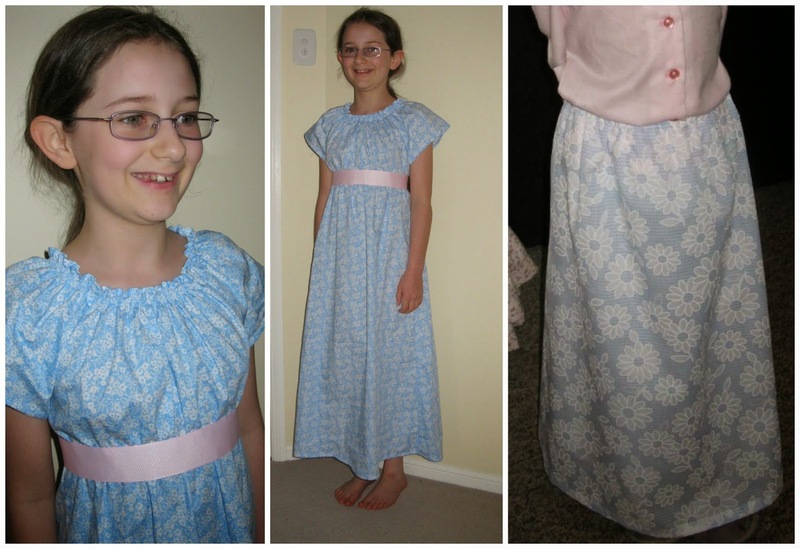 It’s a fun post from a young seamstress. At the Lone Pine Koala Sanctuary in Brisbane, Queensland. A seat in the shade. Getting acquainted with the natives. A close-up of the feathers.